It seems families fall into two categories: those that camp, and those that don’t. The former group sees a chance to connect with our ever-shrinking Great Outdoors, to teach the young’uns how to fish and start a fire, and, as Calvin’s father says, “build character”. The latter see bugs, heat, rainy tents, no wifi, and more bugs – Calvin and his mother are great examples of that. There are only two sides. It’s safe to say which camp (sorry) the following family falls into. 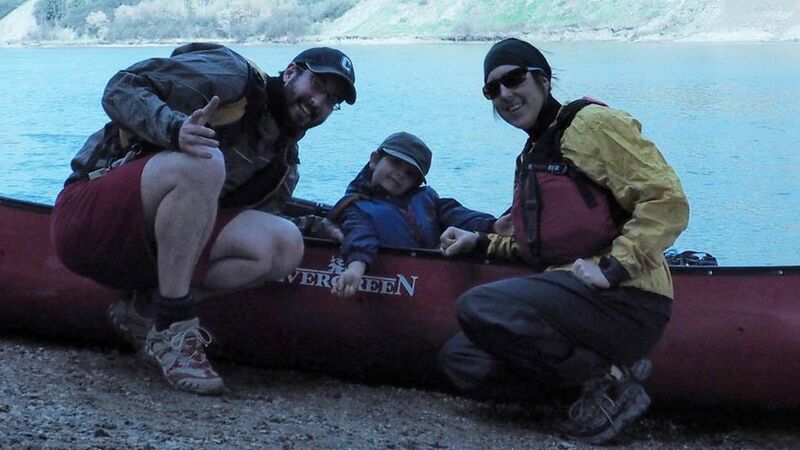 Benoit Gendreau-Berthiaume, having finished his Forest Biology and Management PhD at the University of Alberta, is taking his wife Magali Moffatt, and their 5 year old son Mali on a camping trip of the extreme variety – canoeing from Edmonton, AB, to Montreal, QC. No doubt some of you are already squirming at the idea of spending months with your family in an enclosed space, let alone traveling hundreds of miles mostly on water in a canoe. However, Benoit isn’t the only one that’s excited about the trip. For starters, his wife works at Mountain Equipment Co-op, so she was on board from the get-go after their initial plan was harpooned by a family car that had other ideas. As for the boy? Well, he’s 5. Life is one big adventure for him -after the family canoed 450km down the North Saskatchewan River, “La Capitaine” declared he wanted to canoe for the rest of his life. After that 10 day excursion, the only way is up for his curiosity. The expedition is set to take 4 months, during which time they hope to keep us updated via their blog, as well as their Twitter feed. The trip is just 5 days old, so it’s not a bad idea to jump onto this while the trek is young. From all of us: Bonne Chance! Rest assured – there are more than a couple of us here at Mountain Life that wish our parents were this cool.